Output: Up to 720 Kg./h. - 1,600 lbs./h. 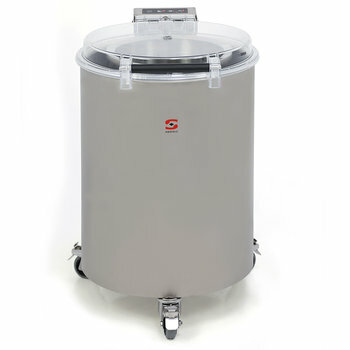 Capacity per cycle: 6 Kg. / 13 lbs. Capacity per cycle: 12 Kg. / 26 lbs. Sammic salad spinners can dry lettuce and other vegetables in 1-3 minutes. Their high speed of 900rpm ensures the highest quality in the most efficient way. All models are equipped with powerful three-phase motors controlled by a highly reliable electronic speed variator. This enables the salad dryer to be connected to a single-phase electrical mains supply. Stainless steel body. 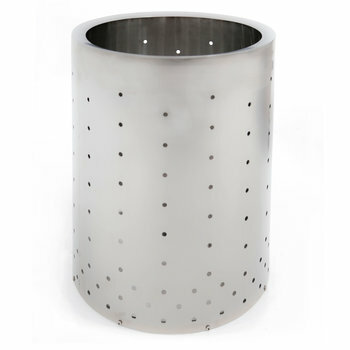 Their stainless steel basket with aluminium base offers durability and stability over the competition. With highly resistant cover and buffer with safety switch. User friendly control panel with advanced options like cycle selection. The unique Vibration Control System automatically controls the load distribution prior to initiation. The motor braking enables fast and smooth cut-off. 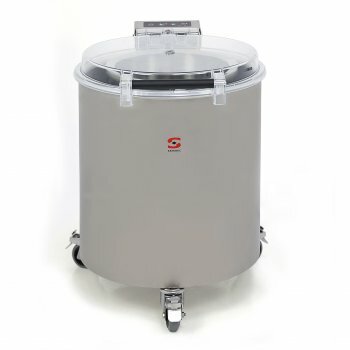 All ES commercial salad dryers are equipped with braking castors. This allows maximum comfort in the workplace, providing stability during operation and ease of movement for cleaning & storage. Capacity per load 13lbs. 26lbs. 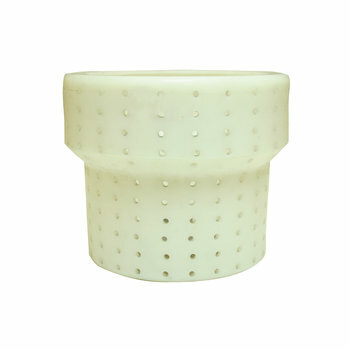 External dimensions (WxDxH) 21.3x29.5 x 26.2" 21.3x29.5 x 32.1"
Drying basket for salad spinner ES-100/200.